Outsourcing subassemblies can seem like a daunting task for any OEM. Not only do you have to spend time keeping track of which parts your company is building in-house and which parts you’re expecting from your contract assembly partner, but you also have to manage the timeline of parts’ arrival and deal with any delays. To help streamline the process, you may want to consider asking your contract assembly partner to kit your subassemblies. Kitting subassemblies is a simple request that allows your contract assembly partner to find the best way to group and package components together, supplying them as one unit. To outline the benefits this process provides, here are 4 ways kitting your assemblies can boost your production efficiency and save money. Instead of ordering a wire harness (or parts to build a wire harness), an enclosure and all the switches from different suppliers, let your contract assembly partner procure the parts. Then they can build the harness, install it in the box and connect the switches to deliver a higher-level assembly right to your production facility. All your buyers need to do is order the kit, and in the end, your purchasing department will thank you. A true contract assembly partner will test every assembly it builds. If they’re building and kitting parts for you, each component of the kit will be tested and the final product will be tested once it’s assembled. Since the subassembly will be in working condition when it arrives at your facility, your production team won’t have to spend time testing it and you can be sure the subassembly will function properly once installed. 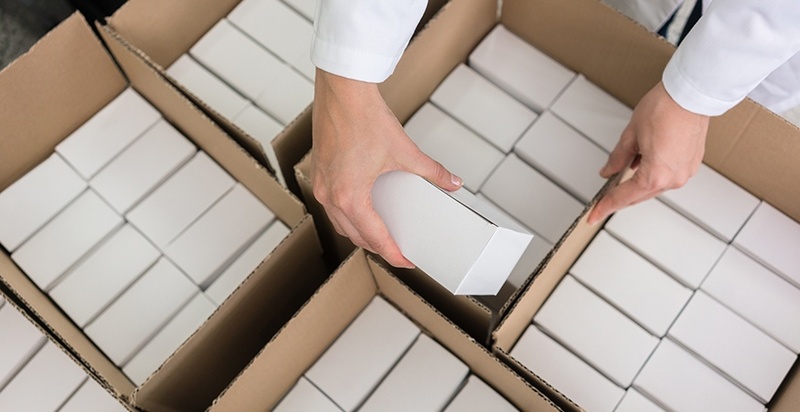 Simply put, handling and shipping one box is much easier than handling and shipping more than one box. Being able to package several components into one kit will help your contract assembly partner ship the assembly more efficiently. Additionally, your organization will be able to swiftly receive it in as one part and transport it to the production floor easily without the risk of misplacing parts. These time savings may seem small at first, but they can add up quickly. Since everything within the kit is tested and it’s all assembled as one part, your production team will be able to pull it out of the box, secure it to your final product and connect it to the rest of the system. After that, it’ll be ready to go. They won’t spend time picking several parts, attaching each one separately to the final product or trying to figure out if the wires are properly connected. All that said, the key to ensuring the successful kitting of your subassemblies is communication, and it starts by making sure the drawing structures you supply match the way that you’ll be ordering the assemblies. If there are parts on the drawing that you don’t actually need in the kit, there will be discrepancies between the order you place and what you receive from your contract assembly partner. One way to ensure that everyone is on the same page is to work out a Service Level Agreement that aligns everyone’s expectations and paves the way for great communication. Overall, kitting assemblies can be very cost efficient for you and your contract assembly partner because it works for high or low volume assemblies and opens up time saving opportunities. MCL Industries built and kitted assemblies for the U.S. Coast Guard Response Boat-Medium project, kitting more than 50 individual components into just three part numbers! Click the button below to read more about the project.